Environmental 360 is excited to welcome Jimmy Hargrove, CEMS/COMS Regional Manager, to the team who will expand our team member locations to the Pacific Northwest. Environmental 360 has serviced clients and projects for years in the Washington, Oregon, and Idaho area, but Jimmy will be the first team member to be located there full-time. 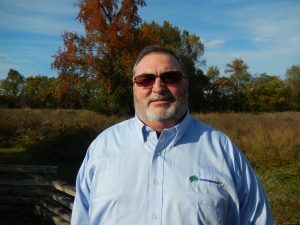 Jimmy comes to Environmental 360 with over 25 years of analyzer experience. After serving 4 years in the United States Air Force as a Fire Protection Specialist Firefighter and Crash Crewman, Jimmy began his analyzer career as a Federal Firefighter Emergency Medical Technician and Hazmat Team Member servicing and maintaining the portable analyzers used for toxic, hazardous, and flammable atmospheres by the Hazmat team. After 20 years with Micron, Jimmy took the opportunity to work with Insight Environmental in North Dakota. He started there as the contracted CEMS Technician at Dakota Prairie Refinery in Dickinson, North Dakota, the first refinery to start up in the United States in over 45 years. After the facility was then purchased by Tesoro Refining, Jimmy transferred to Tesoro’s Mandan (North Dakota) Refinery to manage their CEMS program. In the two years that Jimmy was the CEMS Manager at the Tesoro Mandan Refinery, he was tasked with implementing a contractor-based CEMS program and was instrumental in having the CEMS program in compliance with over 95% uptime for 5 consecutive quarters. Jimmy was also responsible for performing the LDAR monitoring at the facility. At Environmental 360, Jimmy will complete project work for the clients primarily in the Pacific Northwest in all practice areas but specializing in CEMS/COMS and LDAR. Jimmy currently lives in North Dakota but will be relocating to Washington in the next two months. Jimmy enjoys traveling, fishing, hunting, and his Boise State Bronco’s football team.